There was a time when extra overripe bananas meant the pleasure or pressure to bake. Once I made the banana ice scream recipe from the Vitamix cookbook, I realized that bananas were just as useful frozen as any other frozen fruit. This is an easy way to preserve those spare bananas without them sticking together! The wax paper + bag help keep freezer burn out too. Tear off a large sheet of wax paper and then tear into small rectangular pieces. No exact measurement needed here. Peel and break bananas into halves. 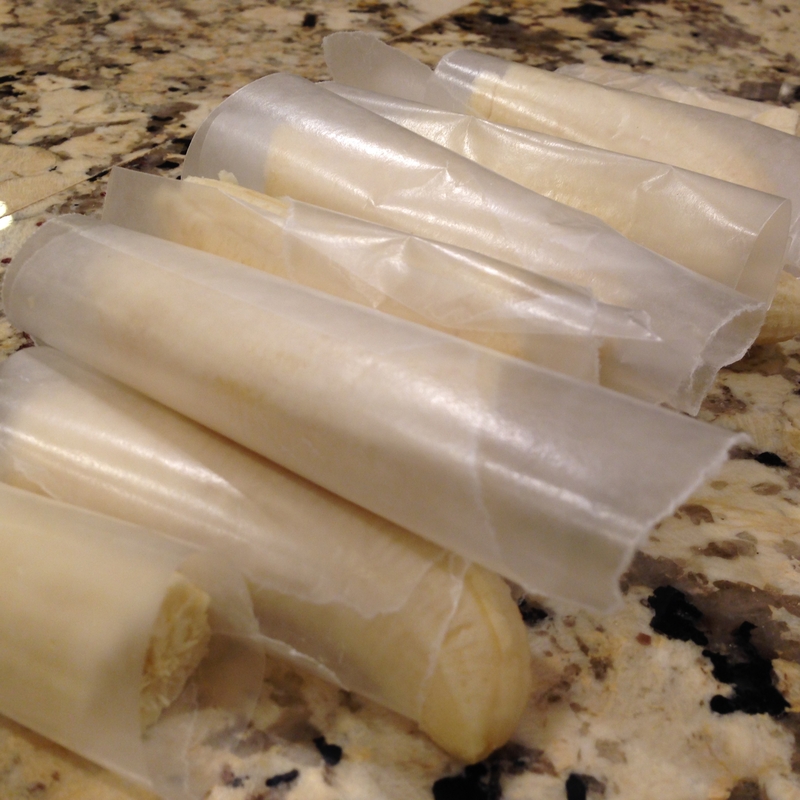 Place on individual pieces of wax paper and roll each banana up. 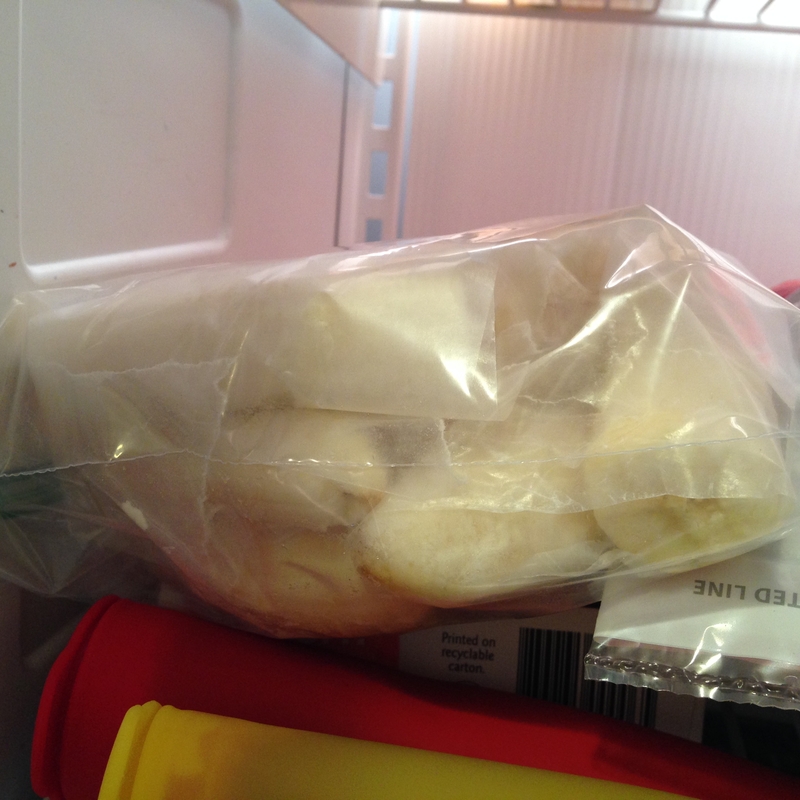 Store rolls in a sealable bag in your freezer for up to 6 months. The below recipe is a great base for more complex smoothies. I almost always start with a liquid, greens, and berries and from there, go on to add other fruits, protein, and omega 3 sources. 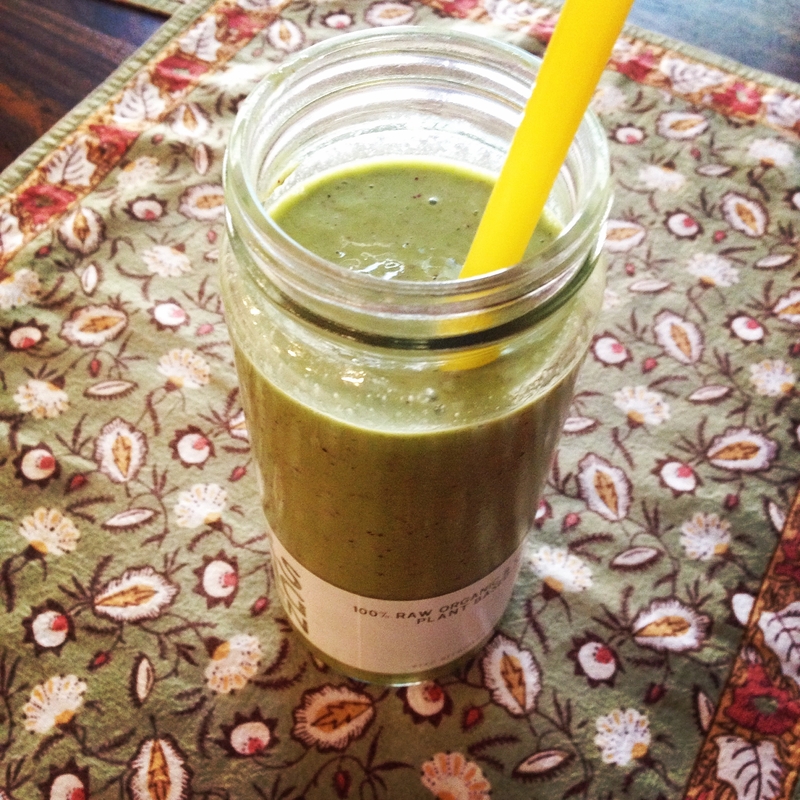 But even just on its own, this basic combination is a great starter green smoothie. You just can’t beat getting most of your servings of fruits, veggies, vitamins, micro- and macro nutrients in one glass! 1.5 cups water or nondairy milk of choice, plain or vanilla. Optional: You can replace the strawberries with mixed berries or another berry. Add 1 tbsp nut butter for more creaminess and protein and or protein powder, hempseed, or other fruits. For more green and non-green smoothie recipes, click here!